A recent Microsoft study found that 72% of New Zealand’s workers expect their workplace to invest in culture development and 76% expect leaders to close the digital skills gap. With the rise and dependency on digital technologies and an increasing influx of millennials in the workforce, workplaces are under increasing pressure to address worker expectations, skills and the need for up to date technology. We talked to Microsoft New Zealand’s Cloud Productivity Business Leader, Mark Walton about the need for digital transformation in Kiwi workplaces. What causes gaps in digital skill in the workforce? It depends on the size of the organisation, and with regards to digital transformation, what that means to certain organisations. Each organisation is unique in their own identity, and so each digital transformation journey is different. The rate of clouded options is accelerating much faster than organisations are embracing and actually implementing their own digital transformations. And as we start seeing millennials enter the workforce who are very used to using app-based solutions, they then go to a workplace and in a lot of instances they’re pretty disappointed because the technology is out of date. They find that they have to work in the office because that’s the only way they can access data, tools or the equipment they need in order for them to do their jobs, and so, there is definitely a gap between employees coming into the workforce. By 2020, over 50% will be millennials. How are generations before millennials adapting to digital change and how do you go about implementing these new technologies and apps for them? So that’s me, I’m in that category. I can only talk about it from my own personal experience, and it has been a journey. I’ve been at Microsoft for 17 and a half years, and when I first joined we didn’t have smartphones. We relied on fax and email. I think the biggest challenge that non-millennials have is that we’re quite set in our ways in terms of how we want to communicate. A lot of that is based on legacy systems because that’s what we grew up on and knew. In a lot of instances, just trying to keep your head above water to get your daily job done means that you don’t get a lot of time for your own personal development, and a lot of organisations rely on you as an individual to be responsible for your own development. I think when it comes to technology, it’s the last thing non-millennials want to spend their time on, because it might not necessarily be aligned to the particular job path or what the organisation expects of them. We’re probably still a bit more laggardly. My parents for example, still don’t have their own smartphones. They’ve still got the old Nokia, and that’s what they’re used to. I think there’s also an element of fear because you hear a lot about cybersecurity and the risks and I think the older you are, the more you worry about that sort of stuff. In some instances, they look at the technology and go “this is just too complicated, I haven’t got time to learn how to use this”. It’s the total opposite for millennials. We look at millennials and go, “Wow, they just get it.” They can just pick up a device and instantly know how to use it. Millennials don’t have the fear of that, whereas older generations probably do have a bit of fear, and they’re also a little bit time-poor and they don’t want to invest what time they do have on learning new technologies. So it’s an apprehension thing? For sure. We didn’t grow up with shiny gadgets at the forefront of what we thought about. We grew up thinking about family. We still wrote letters. I can’t even remember the last time I picked up a pen and paper. Whereas when I look at today’s youth it is so digitised. It’s all about walking around with the latest gadgets, trying to be ahead of your mates, the whole “Hey look what I got for Christmas sort of thing”. We didn’t grow up in that type of environment and it wasn’t really that important to us. Today, however, it’s so socially important that you’re seen to be in the “modern era” in order for you to feel important, which sounds terrible but I do think society is going in that direction. What ideas and approaches can millennial workers take from older generations them and apply to the current technologies? I don’t know whether that’s the right thing to do because I think digital technology and gadgets will just become more and more integrated into our life, especially when we start thinking about artificial intelligence and all the virtual reality and mixed reality technology that is coming out and so forth. I don’t think we can avoid that. From talking to younger colleagues at work, it’s all well and good moving in the direction of being digitised and very reliant on it but we need to remember, it’s still important to have human interaction. In the study we found that millennials prefer virtual over face-to-face. That’s the one thing that worries me. If we get too virtual, we’re going to forget how to socially interact face-to-face. One thing that I would say to millennials is, it’s still great to have face-to-face meetings because it does break down a lot of barriers. If after the face-to-face meeting you want to have virtual – great. But don’t rely so heavily on virtual means for communication. Sometimes it’s nice to walk around, sit next to someone and say, “Hey, can we have a chat?”. What are the typical demands employers hear in regards to digital technologies? The key things are, and you hear about this a lot, it’s around what we call diversity and inclusion. When you look at the workforce today, you definitely have multi-generational individuals in the workforce, so you need to be thinking about universal toolkits you can be using that enables teams to communicate in their preferred means and to collaborate as well. There’s definitely a big sense of purpose that employees are looking for. When I think about New Zealand, they talk about the shortage of skilled workers. I think skilled workers coming into the workforce are a lot more picky in regards to who they go and work for, and digital enablement and transformation could be what they’re looking for. They don’t want to go and work for someone that has old equipment or can’t support a flexible workstyle or enable you to collaborate in the means that you need to. There’s definitely a greater sense of purpose, and these are the sort of people that are looking for an open, collaborative workspace, they want a greater sense of purpose, they look for a deep connection to their company’s mission and so forth. Those are the sort of things if you’re an employer, you need to be thinking about. How do we encourage diversity and inclusion? How do we make sure that they’ve got a work where they feel they can collaborate, a deep connection with the organisation and really believe and understand what the company’s mission is. The tools that we give them will enable them to do all of that. To switch roles and to put you in the shoes of the employee – let’s say you’re at a workplace that is apprehensive in embracing digital transformation and change. What can you do as an employee to make that change happen? From a Microsoft point of view, we have internships with University hires that come into our workplace. I love the fact that they come to us and they provide their feedback around, “Hey, you guys are pretty archaic. Here are some ways we think you could be more efficient”. I would encourage the millennials coming into the workforce to not be afraid. They’re being hired for their skillset and it would be a real shame if they came to an employer, and they kept quiet and they didn’t voice their opinion around systems being outdated and ideas they have that will improve collaboration, which will then improve productivity. I think the key thing for any employer, no matter how unique they are or what products and services they offer, the biggest competitive advantage they offer is the people that work for them. So when an employer is hiring someone, they need to have at the front of their mind, “this person that I’m hiring is going to give my competitive advantage over all the other people that sell something similar to me”. They need to listen to the person they’ve hired. If they have ideas, they need to listen to those ideas and then look to see how they could implement those ideas. The realities around digital transformation, cloud solutions are proven to enable you to go to market much quicker, reduce risk, reduce costs and therefore, you should be more successful. My advice to any younger person coming into the workforce is, please, just speak up. Sometimes you just sit in meetings and you can see that they want to talk but they’re a little bit nervous. There might be a senior exec that’s speaking, but when I see those individuals that speak up, everybody goes quiet and you see nods around the room, and everyone goes, “That’s so true”. It’s really exciting when you see a particular suggestion get implemented. 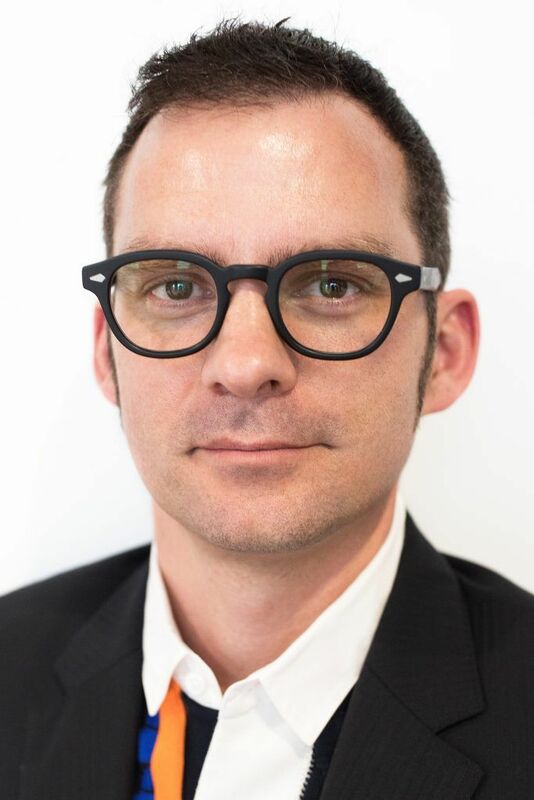 Microsoft New Zealand’s Cloud Productivity Business Leader, Mark Walton. I guess it goes back to the old adage, “The squeaky wheel gets the oil”, right? You have to speak up in order for change to happen. To make it a bit more precise, what has Microsoft done to change the culture in the workplace? With new leadership comes a lot of change. I think the biggest thing that Microsoft has done is listen to its customers and really understand what our customers want. I think in the past, Microsoft could have been deemed a bit “arrogant”. When we brought something to market, we’d talk about how great it was, the whole “Hey, you need this”. Whereas what Satya [Nadella, Microsoft CEO]’s done is gone, “Hey, what do you need?”. Customers then tell us, “This is what we need from you. These are the challenges we face. How can you help us?”. The other big change I’ve seen is that we actually don’t celebrate our success – we celebrate our customer’s success. There’s a lot of energy and passion for helping customers to succeed. I think that’s probably the biggest change. As a result of that, and as a result of listening to customers, things have really changed. Look at Microsoft 365. Microsoft 365 runs on Apple, it runs on Android and it runs on Windows. In the old days, we would have just promoted Windows and said, “No, no, no – if you want to run our stuff it has to be run on a Windows device”. But now we have seen this interoperability across all the different operating systems, across all the different devices, so customers now have a choice and I think that’s the key thing that Microsoft is giving customers choice. What are the big issues in the future facing the workforce? Obviously automation, AI and the “robot takeover” are hot topics, but what are the big issues in the future? I think there needs to be a slight change in mindset when people think of AI and automation. The way I look at it, it’s there to support you as a human being. It’s not there to replace you, it’s there to support you. Certain examples could be, you’ve got AI that is looking at video feeds, and there’s a spill on the factory floor. The AI picks up that there’s been a spill, it then sends a notification to say that there’s been a health and safety hazard, and the spill can then get cleaned up. It’s really there to support and enable people No one really enjoys spending their time on mundane admin and manual processes, and I think that’s where automation and artificial intelligence plays a part. Now having said that, I have been reading that there has been more emphasis on government to really think about AI because there are a number of people who potentially are in roles that could be an automated process in the future. So I think the government needs to look at that and think, “Well, how can we help those individuals reskill?”. Because I have kids in school, I also think there’s a big role to play in education to make sure that there’s an emphasis on STEM at a much earlier age, rather than waiting ’til kids are too old or their interests have gone down a certain way and not necessarily given them the right skills to enable them to be part of our digital transformation journey we’re all going through. The Government needs to assess which job titles they need to reskill and I think from an education point of view they really need to start thinking about how to get kids thinking about the digital transformation at a much earlier age.